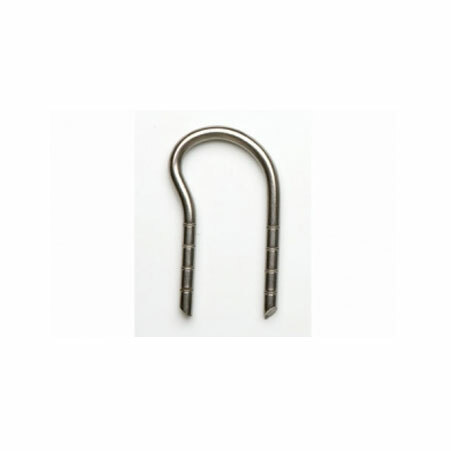 ﻿ U Anchors, Incoloy 800HT U Type Anchors Exporter. Inconel 600 U-Type Anchors Manufacturer, Incoloy 800 U Type Anchor Exporter, Incoloy 800H U Shaped Anchor, Incoloy 800HT U Anchors Stockist, Monel 400 U Anchors Supplier In Worldwide. Amco Metals has succeded in achieving production excellence through its willingness to change and adapt our product design to suit current industry standards and meeting customer expectations. We have a repute for flexible services directed at customers worlwide. We are a manufacturer, trader, stockist, supplier and exporter of U-type Refractory Anchors. 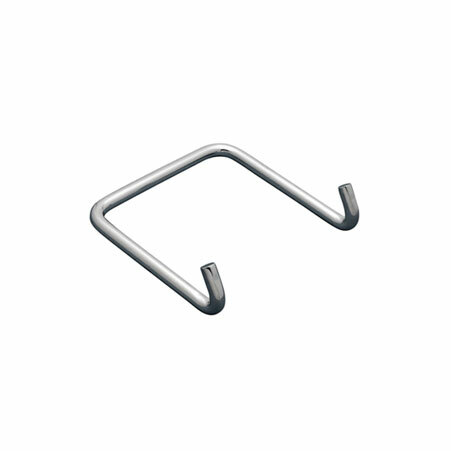 A U-type Refractory Anchor is a U-shaped anchor used to support the refractory lining of the shell of the article being lined. Our Monel U Anchors are recommended for the oil and gas refinery plants, these anchors are used to hook ceramic refractories. We supply Stainless Steel U Anchors to the petrochemical industry, they bear the refractory weight even at elevated temperatures. 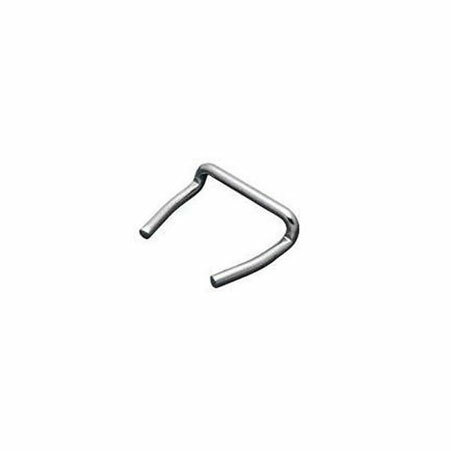 Stainless Steel 304 U Anchor Manufacturer, SS 304L U Anchor Exporter, SS 316 U Anchors, SS 316L U Shaped Anchors, Stainless Steel 321 U Type Refractory Anchors Supplier In India. Belarus, Jordan, Azerbaijan, Singapore, Nepal, Netherlands, Germany, Thailand, Croatia, Egypt, Slovakia, Saudi Arabia, Iran, Taiwan, Indonesia, Ukraine, Czech Republic, Kazakhstan, Nigeria, Morocco, Bahrain, United Kingdom, Ghana, Japan, Pakistan, Poland, Peru, Bangladesh, Brazil, United States, Tibet, Iraq, Ireland, Argentina, Sri Lanka, Macau, Malaysia, Trinidad & Tobago,Tunisia, Oman, Qatar, Venezuela, India, Estonia, South Korea, France, Russia, Mexico, Belgium, Kuwait, Namibia, Norway, Kenya, Hong Kong, Libya, Chile, Israel, South Africa, Poland, Angola, New Zealand, Denmark, Lebanon, Austria, Sweden, Turkey, Colombia, Spain, Bhutan, Romania, Greece, Bolivia, Philippines, Algeria, Mexico, China, Portugal, Lithuania, Gabon, Italy, Nigeria, Switzerland, Gambia, Iran, Mongolia, Chile, Afghanistan, Zimbabwe, United Arab Emirates, Yemen, Bulgaria, Puerto Rico, Serbia, Ecuador, Hungary, Vietnam, Australia, Finland, Costa Rica, Canada. Secunderabad, Hong Kong, Gimhae-si, Tehran, Vung Tau, Manama, Brisbane, Kuwait City, New Delhi, Bangkok, Jamshedpur, Mexico City, Ankara, Hanoi, Caracas, Sydney, Bengaluru, Coimbatore, Muscat, Chandigarh, Howrah, Atyrau, Bhopal, Santiago, Ranchi, Ludhiana, Pune, Edmonton, Mumbai, Jaipur, Ahvaz, Al Jubail, Toronto, Busan, New York, Doha, Pimpri-Chinchwad, London, Kanpur, Faridabad, La Victoria, Perth, Nagpur, Noida, Surat, Haryana, Jakarta, Dallas, Thane, Granada, Petaling Jaya, Rio de Janeiro, Istanbul, Geoje-si, Seoul, Kuala Lumpur, Sharjah, Madrid, Baroda, Cairo, Aberdeen, Gurgaon, Hyderabad, Calgary, Melbourne, Nashik, Karachi, Vadodara, Montreal, Riyadh, Milan, Algiers, Houston, Visakhapatnam, Ernakulam, Indore, Rajkot, Moscow, Chennai, Al Khobar, Kolkata, Thiruvananthapuram, Los Angeles, Lagos, Chiyoda, Lahore, Singapore, Bogota, Port-of-Spain, Ho Chi Minh City, Courbevoie, Colombo, Jeddah, Dubai, Ahmedabad, Ulsan, Abu Dhabi, Dammam, Navi Mumbai.